Here is the latest WolfWare News to help you make the most effective use of WolfWare. Turnitin plagiarism detection is available in Moodle. Read an overview of Turnitin. WolfWare Google Groups will be available for Summer 2019 courses and beyond and will replace the WolfWare email lists tool. It is designed to give you easy email capability with your class as well as integrate with Google file sharing and calendaring. Read information to get started with WolfWare Google Groups. Blackboard Collaborate Going Away Soon: We are retiring Blackboard Collaborate on May 31, 2019. Visit our Collaborate Retirement website for more information. See DELTA’s Workshops page for details on all of our training, including “What’s New in Moodle?” classes. Get more information about our video communication tool Zoom. Learn about Zoom and visit our Knowledge Base for help getting started. 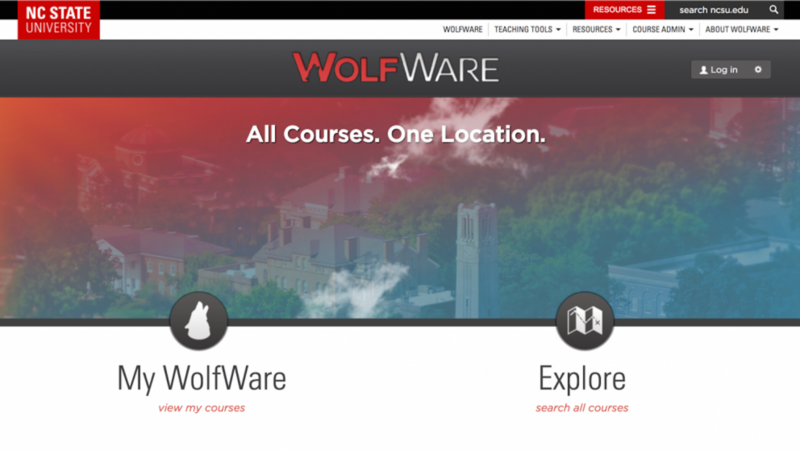 DELTA Knowledge Base: We have a new knowledge base available to answer your WolfWare learning technology questions: go.ncsu.edu/learntech. LearnTech YouTube Channel: These short videos aim to enable you to integrate WolfWare tools effectively into your teaching practice. There are more than 30 videos, with more added regularly. Be sure to subscribe for updates: youtube.com/deltalearntech. Thank you for your interest! Please don’t hesitate to contact DELTA’s LearnTech help desk at 919.513.7094, or email learntech@ncsu.edu if you need assistance.